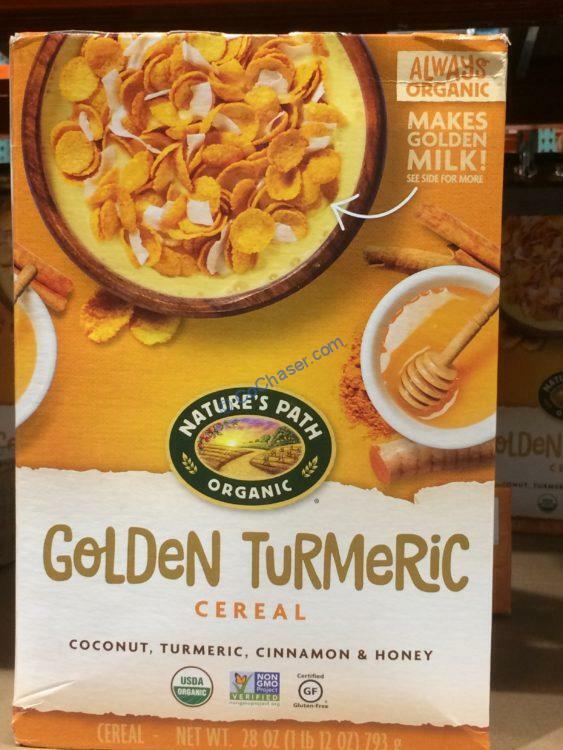 Nature’s Path Organic Cereal Gold Turmeric combines deliciously crunchy flakes with nourishing turmeric spice for a totally unique breakfast experience. Packed with whole grains, warming combination of turmeric and other organic spices makes golden milk! Per serving size (1 cup about 40g) contains 160 calories. For each serving, you get 1.5g total fat(2% of Daily Value) including 1g Saturated fat, 2g of protein, 2g of fiber and 7g sugars.